Rolling on from the success of the infamous 'Monkey Kingdom', the Teddy Killerz get set to release the next single from their summer bound debut album, 'Nightmare Street'. 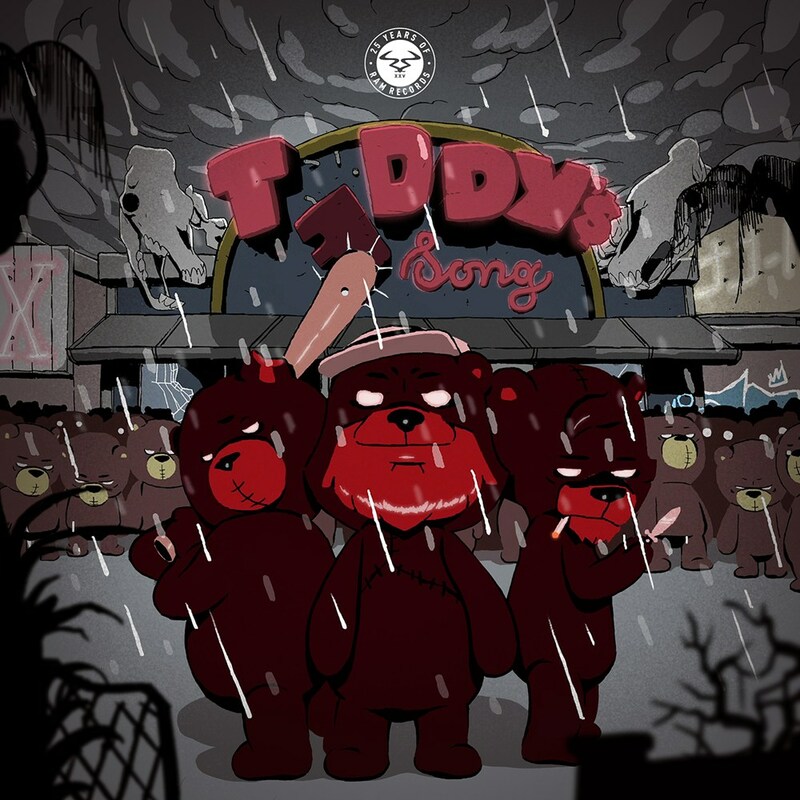 'Teddy's Song' connects the dots with its horror film vocal, drawing for big room synths and militant breaks designed with evil intent. About Teddy Killerz: Having a plethora of releases already on the likes of OWSLA, Bad Taste and Ram's sister label Program, TK have reached a diverse audience delivering a huge spectrum of music. Further pushed into the spotlight by their remix of Skrillex's 'Ragga Bomb', their work on Modestep's 'London Road' and more remix work for Noisia and Foreign Beggars' I Am Legion project, the debut TK album 'Nightmare Street' looks set to cement their mark this year as a major production force in drum & bass.